Separation of church and state is enshrined in the U.S. constitution and is valued by people everywhere who are concerned about freedom of conscience. If appears that in the U.S. that wall of separation is crumbling. At the same time there is more intrusion into our daily lives and in some areas even a scoring system of the trustworthiness of citizens. This could all be a lead up to the coming imposition and enforcement of the Mark of the Beast spoke of in the book of Revelation. There are also the continuing Middle-East tensions with a new crisis in the last couple of days between the U.S. and Saudi Arabia. Note that I am simply sharing items of interest for your information. That does not imply that I agree with everything presented here or with other material from the same source. Many Americans were shocked last week when Attorney General Jeff Sessions turned to the Bible - specifically, Paul's epistle to the Romans - to justify President Trump's policy of separating migrant children from their parents. 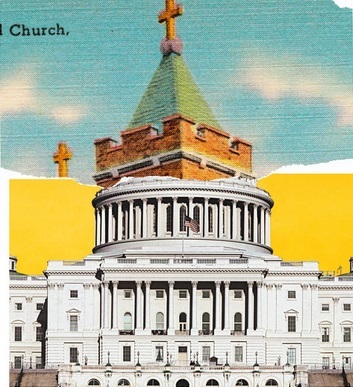 This scriptural justification for a political decision should not have surprised anyone, because Mr. Trump's administration has consistently treated the separation of church and state as a form of heresy rather than a cherished American value. The very meaning of the phrases "religious liberty" and "religious freedom"- traditionally understood as referring to the right of Americans to practice whatever faith they wish or no faith at all - is being altered to mean that government should foster a closer relationship with those who want to mix their Christian faith with taxpayer dollars. This usage can be found in numerous executive orders and speeches by Mr. Trump and his cabinet members. Changes in language have consequences, as the religious right's successful substitution of "pro-life" for "anti-abortion" has long demonstrated. Religion-related issues, especially if buried in lengthy government documents, can often seem obscure, but they dominated the news at the end of June, when the Supreme Court upheld Mr. Trump's travel ban targeting majority-Muslim countries and struck down a California requirement that anti-abortion, state-licensed pregnancy clinics provide notice to their clients that abortion is an option. These significant rulings were immediately overshadowed by the retirement from the court of the frequent swing voter Anthony M. Kennedy, which now gives Mr. Trump the opportunity to nominate a predictable religious conservative who would most likely support the overturning of Roe v. Wade. Our study will further look at the need to obey earthly governments - as long as they do not overstep their jurisdiction into matters between God and man. Unfortunately, that is where, especially in the United States, they are headed as the separation of church and state is being steadily eroded. If anyone would like to see our study on Romans 13, use the contact me form on this site to request it. The next article shows that China is working hard to be able to enforce social conformity. Are they pioneering this for the rest of the world? Many Christians in the western world don't even realize that the persecution of the end times has already started. All over the world, Christians are being attacked, Bibles are being burned and churches are being shut down. This persecution has been escalating for quite some time, but what prompted me to write this article today was the dramatic change that we have witnessed in China this year. Up to this point, the Chinese government has largely tolerated the booming house church movement, but now that era of toleration is officially over. New religious regulations that went into effect in February are being brutally enforced, and this is causing some to point out the frightening parallels between Communist China and Nazi Germany. Facebook is now rating the trustworthiness of its users as a part of the effort to tackle "fake news." At a time when Facebook is subjectively enforcing policies which are wiping right-leaning journalists and commentators off their platform, the move to hand out a social reputation score could not be more ominous as Conservatives fight for the right to be heard across multiple online platforms. It wasn't long ago that former Facebook employees revealed the company was rigging its trending news section to prevent conservative media outlets from ever reaching top ranks. Can we trust Facebook to determine who is trustworthy and who is not? It is important to revisit what is happening in China on a much larger scale as not only social media, but almost every aspect of a citizens life is examined for "trustworthiness" towards the state. With that trust comes certain rights and privledges. Break that trust and you will find your opportunities at work and life - restricted and limited. Ray's note: Social media in the western world may be - even inadvertantly - headed the same direction. Interesting that China also just happens to be the country most capable of mass producing any hardware that might be useful for this technology. A Michigan mother was arrested after she took away her daughter's cell phone. The mother's individual decision to discipline her child by taking her phone away was followed by her prompt arrest. Jodie May did what classroom teachers do every day across America. But we've never reported a story where a teacher, a representative of the state, has ever been arrested and charged for effecting discipline in the classroom. But when May tried to do the same thing with her teenage daughter, she was charged with misdemeanor theft. May was arrested on May 12, the day before Mother's Day, and was breastfeeding her 1-month-old newborn when Ottawa County deputies arrived at her door to let her know she was being arrested for taking her daughter's phone away. Incredulously, the police state goons had no problem separating a mother from her nursing toddler. Ray's note: Is this another example of excessive intrusion of the state into the affairs of its citizens? presidential election in Tehran June 12, 2009. Iran's top authority criticized Trump for saying on Tuesday some countries in the Middle East "wouldn't last a week" without U.S. protection. "Such remarks are humiliation for Muslims ... Unfortunately there is war in our region between Muslim countries. 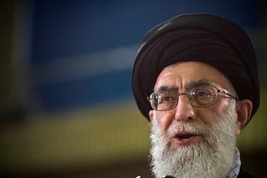 The backward governments of some Muslim countries are fighting with other countries," Khamenei said. Ray's note: the article above could be very significant in light of Daniel chapter 8 which, I believe, fortells a coming clash of civilizations between the "Christian" west and "Islamic east." All of this having developed and descended from a sibling rivalry centuries ago between Isaac and Ishmael. Reuters identifies the Zelzal, Fateh-110 and Zolfaqar missile systems as among those transferred - with ranges of between 200 and 700km, which puts "Saudi Arabia's capital Riyadh or the Israeli city of Tel Aviv within striking distance if the weapons were deployed in southern or western Iraq". On Oct. 2, the ambassador proved it again. According to her statement, Washington is ready to use force against Russia. Actually, she presented an ultimatum - Moscow must stop the development of a missile that the US believes to be in violation of the Intermediate-Range Nuclear Forces Treaty (INF Treaty). If not, the American military will destroy it before the weapon becomes operational. 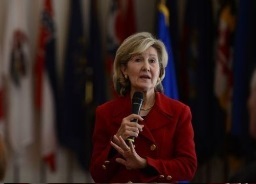 "At that point, we would be looking at the capability to take out a (Russian) missile that could hit any of our countries," Hutchison stated at a news conference. "Counter measures (by the United States) would be to take out the missiles that are in development by Russia in violation of the treaty," she added. "They are on notice." This is nothing other than a direct warning of a preemptive strike. It is true that compliance with the INF Treaty is a controversial issue. Moscow has many times claimed that Washington was in violation, and that position has been substantiated. For instance, the Aegis Ashore system, which has been installed in Romania and is to be deployed in Poland, uses the Mk-41 launcher that is capable of firing intermediate-range Tomahawk missiles. This is a flagrant breach of the INF Treaty. The fact is undeniable. The US accuses Moscow of possessing and testing a ground-launched cruise missile with a range capability of 500 km to 5,500 km (310-3,417 miles), but there has never been any proof to support this claim. Russia has consistently denied the charges. It says the missile in question - the 9M729 - is in compliance with the provisions of the treaty and has never been upgraded or tested for the prohibited range. Speaking on Sept. 28 at an industry event in Pennsylvania hosted by the Consumer Energy Alliance, Interior Secretary Ryan Zinke suggested that the US Navy could be used to impose a blockade to restrict Russia's energy trade. "The United States has that ability, with our Navy, to make sure the sea lanes are open, and, if necessary, to blockade... to make sure that their energy does not go to market," he said, revealing that this was an option. The Interior Department has nothing to do with foreign policy, but Mr. Zinke is a high-ranking member of the administration. Two bellicose statements made one after another and both are just short of a declaration of war! A blockade is a hostile act that would be countered with force, and the US is well aware of this. It is also well aware that Russia will defend itself. It's important to note that no comments or explanations have come from the White House. This confirms the fact that what the officials have said reflects the administration's position. Ray's note: wars and rumors of war! "The cow went under 'extensive examination by rabbinical experts' who confirmed she is a 'viable candidate for the Biblical red heifer.' They admitted however the cow could be disqualified through natural causes ... It is claimed there have only been nine true red heifers - and the 10th will herald the construction of the Third Temple. The Temple Institute believes a red heifer will be needed to be scarified to complete the ritual of purification for the temple - heralding the coming of the Jewish Messiah. "Evangelical Christians believe the construction of the Third Temple all herald their own end times prophecy ..."
... We've seen attacks now on August 24, September 3, 9, 11, 16, 21 and most recently and most dramatically September 22 in the city itself of Beni," he said. He said that Beni was the base for the agency's base for the "entire operation." 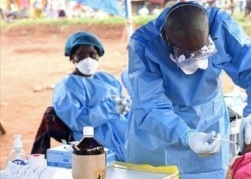 The outbreak is based in North Kivu, which is on the border of Uganda and Rwanda. Violence has displaced more than a million people in the area, and there have been a number of brutal machete attacks against civilians. Things got so bad that the WHO was forced to cease their operations for an entire week while the Ebola virus spread. One of the armed groups in DRC which pose a threat to civilians and the international response to Ebola, the ADF - Allied Democratic Forces - has sufficient military capacity to ambush blue helmets from the UN'a Stabilization Mission in DRC (MONUSCO) and government forces - the FARDC. "The ADF in particular has enormous capabilities," Dr Salama said. "They've been able to overrun entire FARDC-bases in and around Beni, they've been able to ambush (UN) forces." ADF is an Islamist group that is a serious threat to the Congolese government as well as relief workers. I watch Yellowstone very closely, because an eruption of the Yellowstone supervolcano could end life as we know it in America in a single moment. 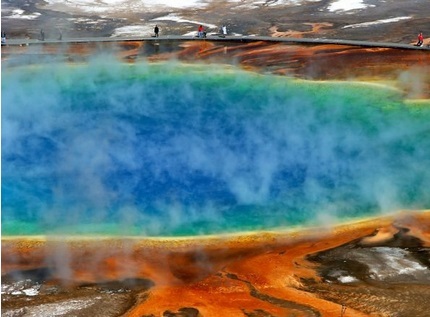 A full-blown eruption of Yellowstone could potentially dump a suffocating layer of volcanic ash that is at least 10 feet deep on almost the entire country, and it would instantly render about two-thirds of this nation completely uninhabitable. So yes, when Yellowstone starts rumbling there is a reason to pay attention, and right now Yellowstone is starting to rumble in ways that are unprecedented. That doesn't mean that an eruption is imminent, but without a doubt what is currently taking place is more than just a little bit alarming. 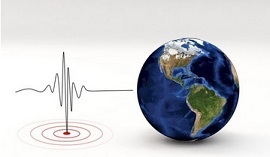 Ray's note: this video points out that, as we are becoming very aware, all is not normal in our environment.